Become or Nominate New PTSA Officers! It’s that time of the year to nominate yourself or someone you know for the Parent Teacher Student Association (PTSA) executive board. 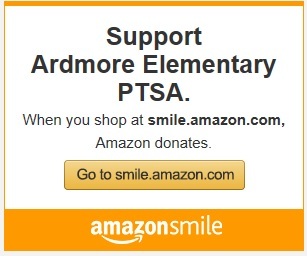 Ardmore’s PTSA plays an integral role in your child’s school experience at almost every level: your child’s classroom (by providing red eagle folders and additional classroom supplies), school experience (i.e. the buddy bench at recess, funding fieldtrips, organizing field day…etc), communication between school and home (i.e. weekly eagle mail, newsletter), afterschool activities, and community events (i.e. family fun nights). Join the dynamic team that makes your child’s school experience more inclusive, positive and fun! President - The President is the spokesperson for the PTSA, and presides at all meetings. The President communicates all information about PTSA’s purpose and programs, and communicates with all committees about current programs. Vice-President - The Vice President’s duty is to support and assist the President in all above-mentioned activities. Secretary - The Secretary’s role is to write meeting minutes/notes, maintain a print copy of the minutes in a binder, keep track of motions/decisions made at meetings, and keep a roster of members (the membership chair will enter member information online). Treasurer - The Treasurer’s duties are to present a budget to the membership (the board works together to create the budget), maintain financial records (using an online banking program), deposit and record funds received in the PTSA bank account, present a report (generated by the online program) to the board every month, and submit the books to the budget committee to do a financial review. No prior experience with the PTSA is needed to be considered for an executive board position; however, you do need to be a PTSA member by May 9th to be considered in the upcoming election. When you turn in your nomination form, please make sure you turn in your PTSA membership form as well (if you haven’t done so already this year). The current PTSA board will be available next year to mentor incoming board members. Again, no prior history is needed to become an executive board member, just the desire to make positive change in our children’s school community! Nomination forms will be coming home with students via the red eagle folder this week. It will also be attached to this email. Printed copies of the nomination forms and PTSA membership forms will also be available in the school lobby, just inside the front entrance doors. Please turn in all completed forms to the front office (attention Nominating Committee). Upon turning in your nomination form, the nominating committee will contact you shortly to meet and discuss the reasons you want to be on the board, and to provide information about the position you are interested in. The nominating committee will make final recommendations for each of the open board positions. There will be a general election June 9th, where the nominating committee’s recommendation will be voted on. For any questions or concerns, please don’t hesitate to contact the members of the nominating committee: Ligia Calvo at calvol@bsd405.org, Sheryl Elrod at s_elrod@yahoo.com, and Jane Liaw-Gray at jliawgray@gmail.com. Thanks for your support in ensuring the continued excellence of our children’s school experience! Es tiempo de nominarse ustedes mismos o nominar a alguien que conozcan para la Junta Directiva de la Asociación de Padres, Maestros y Estudiantes (PTSA). La PTSA de Ardmore juega un rol integral en la experiencia de sus hijos en la escuela en casi todos los niveles: En el salón de clases (al proveer folders rojos Eagle y suministros adicionales para la clase), en la experiencia escolar (“buddy bench” en receso, proporcionando fondos para excursiones, organizando field day, etc. ), en la comunicación entre la escuela y el hogar (con el correo Eagle semanal, el boletín mensual), actividades extracurriculares y eventos para la comunidad (como family fun night). Únanse al dinámico equipo que hace que la experiencia escolar de sus hijos sea más inclusiva, positiva y divertida. Presidente – El Presidente es el portavoz de PTSA y preside todas las reuniones. El Presidente comunica toda la información acerca del propósito y programas de PTSA y se comunica con todos los comités acerca de todos los programas actuales. Vice-Presidente – La labor del Vice-Presidente es apoyar y ayudar al Presidente en todas las actividades mencionadas arriba. Secretario – El rol del secretario es escribir minutas y notas de las reuniones, mantener una copia impresa de las minutas en un cartapacio, llevar registro de las mociones y decisiones realizadas en las reuniones y mantener una lista de los miembros (el encargado de membresías ingresará la información de las membresías en línea). Tesorero – Las responsabilidades del tesorero son presentar un presupuesto a los miembros (la Junta trabaja para crear el presupuesto), mantiene registros oficiales (usando un programa de banca en línea), depositar y registrar fondos recibidos en la cuenta de banco de PTSA, presenta un reporte (generado por el programa en línea) a la Junta cada mes y somete los libros al comité del presupuesto para que hagan una revisión financiera. No se requiere experiencia previa con la PTSA para ser considerado para un cargo en la Junta Directiva; sin embargo, necesitan ser miembros antes del 9 de mayo para ser considerados en las próximas elecciones. Cuando entreguen su forma para nominar, por favor asegúrense de entregar también su forma de membresía de PTSA si no lo han hecho durante este año. La actual Junta Directiva estará disponible el próximo año para capacitar a los miembros entrantes de la junta. Una vez más, no es necesario tener experiencia para convertirse en un miembro de la junta, sólo es necesario tener el deseo de hacer un cambio positivo en la comunidad escolar de sus hijos. Las formas para nominar estarán llegando a casa en el folder rojo Eagle esta semana. También está adjunta a este correo. Copias impresas de las formas para nominar y formas para membresía de PTSA estarán también disponibles en la oficina de la escuela. Por favor retorne todas las formas completas a la oficina con atención al Comité de Nominaciones. de las razones por las que quiere ser parte de la junta directiva y para proveer información acerca de la posición en la cual están interesados. El comité de nominaciones hará sus recomendaciones finales para cada uno de los cargos disponibles. Habrá una elección general el 9 de junio para las recomendaciones del comité de nominaciones. Si tienen preguntas, por favor no duden en comunicarse con los miembros del comité de nominaciones: Ligia Calvo, calvol@bsd405.org, Sheryl Elrod, s_elrod@yahoo.com y Jane Liaw-Gray, jliawgray@gmail.com. ​¡Gracias por su apoyo al asegurar la continua excelencia de la experiencia escolar de nuestros hijos! Hi Wonderful Ardmore Families! I hope you had a restful and relaxing summer! Taking Care of Business Day - On August 27th from 2-4pm we will conduct or Taking Care of Business (TCB) Day at Ardmore. The event will be held in the office, gym, and on the playground area. Burgers and hot dogs will be served, and families can socialize on the playground areas throughout the event. From 2-3pm parents will be able to get class lists, PTSA information, and other school information. Myself and Chris Jones will be in attendance to meet-and-greet families. From 3-4 pm, 4th/5th Grade families will have an opportunity to create their Classroom Binders and Kindergarten families will be able to acclimate their children to transportation by exploring the bus. (The bus loads the kids and takes a short trip around the block then comes back to school). Please note that parents will not be able to visit classrooms during this time (teachers will be busy getting their classrooms organized after a week of professional development). I am working on getting transportation set up for this event – I will send out a phone message early next week to alert parents if we are able to provide transportation from select locations for TCB Day. Spanish translators will be available at TCB Day. Teacher Assignments will be given out at TCB Day. If you cannot attend TCB Day, your assignment will be mailed to you. The first day of school will be Tuesday, September 1st. The school supply list is here. FCC is open this summer, but will be at Sherwood Forest Elementary School instead of Ardmore. It will be open July 6-31. More information is available here. What began as "a seed of an idea" for Reading Specialist Bev Doleac to get books on shelves into the hands of Ardmore Elementary students has expanded into a book swap program that has become another part of growing students' love of reading. "It's incredible when you look at really strong readers and how many words they might have read between kindergarten and fifth grade," said Doleac. "And those students who are struggling readers or developing readers have so much less mileage." Helping students build their skills and confidence as readers is key in helping them become prolific readers. To that end, Doleac and VIBES volunteer Therese Delaney have created a book swap program for students with Delaney taking on the role of personal librarian.